This is a strange, wide-open question. A question that most people wouldn’t really know how to answer. I chose this question because while meditating I have this surge of thoughts. Yes, I know, most people believe that when you meditate that you are supposed to be free of all thoughts. Well thoughts are natural. You can’t stop them if you wanted to and the harder you try the more you think. So anyhooooooooooo, I have come to realize that a lot of the time during my meditations I will think about things that haven’t entered my mind in several years. Today I started to think about myself during the college years. I thought about how I acted and what kind of person I was. I have never been a bad person and I had a great time in college but my actions definitely could have stood some improvement. I was this desperate girl back in the day seeking attention. I always felt like I was never pretty enough or good enough so I tried waaaayyyyy too hard with people. It is now 2012 and this person I have spoken of no longer exists. I have absolutely forgiven myself. I made mistakes and I was able to forgive myself and move forward. It took me a long time to get here but I made it. Forgiving oneself is never easy though. It takes a lot of courage and a lot of change within onself….it has to be something you really want. I am not proud of all of my actions of the past but what I have learned is that these actions do not define me. The only thing that defines me is the person I am right here and right now and the person at this present moment is the person I love the most. In the past I was never able to look at myself and see a person that I liked. I was caught up with my physical appearance and comparing myself to others and wishing I was one way or another. I always felt like I was not good enough or successful enough. I felt worthless. After my last breakup it hit me like a ton of bricks that I had never been able to love myself and that was a life I no longer wanted to live. My evolution of change started the very day that I made this realization. Instead of blaming myself for all of my mistakes in the past I forgave myself and chose to learn from them. I think about who I was then and that person is almost like a ghost to me. I know she existed but I cannot feel her anymore. I am unable to think those negative thoughts anymore. I am unable to let circumstances and people control me anymore because I learned one HUGE lesson….everything in life is a choice. If I want to be happy that is my choice. If I want to be unhappy that is my choice. The latter just doesn’t seem like a smart choice…actually it is not even an option anymore. Once I realized that how I felt and my thoughts were MY choice, I turned off the negative. I turned off the manipulation. I turn off the self-loathing. I turned off the pity party. These things are so unnatural to me now. In the past I have hurt others and I have chosen (even if it is way past the fact) to apologize and take ownership of my actions. I feel twinges of embarrassment for my past behaviors and actions but they do not define. Instead they make me proud because I am able to see how far I have come in life. It took me a long time to realize that I had been living through everyone else’s standards and criteria and I reached my 30’s and I had felt like I hadn’t accomplished as much as I should have at this age. I felt like being a full time nanny was a fluff job in the eyes of other people. It then dawned on me that it is not a fluff job at all. Nothing about my life is fluff. I started to think about my accomplishments and the person that I am to this very day and I realized that there is nothing minimal about what I have done with my life. I have worked jobs that have helped people in bettering their lives. I have worked with single mothers and have had them thank me and even hug me because I get them hope for a better life. I have stood on the grounds of my state house representing the children of the state of SC. I have traveled to several states and have been to trainings and classes to improve my knowledge on issues that are important to me. I stopped drinking 18 months ago….not because I had a problem….but because I wanted a better life and better health for me. I have lost about 65lbs and I am still working really hard everyday to improve my body and my health. I tell the people that I care about that I love them as often as I can. In my free time I read about things that peak my interest and I try to become more knowledgeable on important world issues. I watch documentaries. I laugh as much as I can and I try to make people smile because in a world this fast-paced I think it is necessary. In my opinion, these are not insignificant things. My life is right where is should be. I asked if I am able to forgive myself and I say yes but in truth there really is nothing to forgive. I accept who I was and I accept and love who I am now. Everything has been a journey to get me to this place right here and right now. There is nothing more beautiful than that. There is no point regretting or feeling guilt for our past actions. The past does not exist…it is an illusion. I found my soulmate in life….he is a gay…but he is still my soulmate. I would marry him tomorrow strictly for the companionship I care so deeply about because we have a connection on every other level except sexually. In my opinion I am truly lucky for that. I am lucky for the friendships that I have and the people that have shown me a world outside of my own. I wrote this entry because I think a lot about other people. I think about how I hate the thought of other people suffering….even people I share no common ground with or do not understand. Hatred comes to easy for people and I think so many people need to forgive themselves and then they may be able to get rid of some of their hatred and anger. Mistakes in life are inevitable but we can choose to forgive ourselves for those mistakes and move on….and we should also realize that others are going to make mistakes (mistakes that could hurt us) but we should forgive them. Forgiveness has this amazing healing power….as super cheesy as it sounds. I wrote this entry to reach out to people (as I do in a lot of my posts) because I don’t want you to feel sadness and I don’t want you to feel pain. This life is a beautiful thing and if I could help you to see that, even through just my words, then I would love to do that for you. I agree with you! Thanks for sharing. the only thing i haven’t forgiven myself for was when my kid was very little, maybe 2, and i reacted at something with anger and accidentally hurt her enough to make her just cry a little. wasn’t intended at her, but accidents happen, and it taught me to keep my cool a little better. So many lovely thoughts in here. 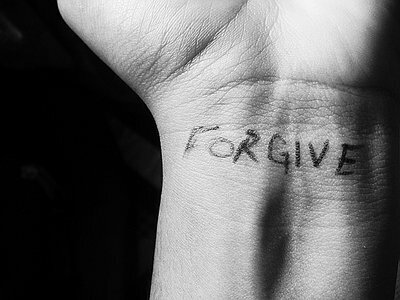 I too have learned how to forgive. And I too am grateful for the people, and bloggers, who have shown me a world outside of my own. ‘Finding’ ourselves is a very long journey…I admire you for taking it on…and yes, sometimes the totally unexpected ‘one’ becomes a soul mate. I admire your honesty, and wish you nothing but the BEST! Myself, yes. Other people…no, not so much. We’re such complicated creatures. Thank you for another interesting topic! Thanks for sharing this story about your life. It touched me and yes, I have experienced more or less everything you write about. How brave of you to enlighten to help others. I am not who I was when I was young either. I am changed for the better having lived through the challenges to become who I was meant to be, not who others expected me to be. Forgiveness can be very hard because bitterness feels so good. But, you put it correctly, it is healing; and when we’re healed we’re free to go about life. Great reminder. Thanks. Nice post. Forgiving self is a more courageous act than forgiving others. It needs a real beautiful heart. Glad to know you as one such person. Thanks for following bohemian prose. I just read this post and really liked your honesty and heart on the matter and can relate very much to your struggles. Life is interesting that way, isn’t it.? Cool concept for your blog! I’m just sad I am 108 days late to the game. 🙂 Thanks for checking me out earlier, as well! I wish I could forgive myself. Some things are unforgivable. I read all the posts on your blog and subscribed. I haven’t belly laughed like that in a long time. In my opinion, whatever you’ve done is forgivable. What an amazing compliment :0) Thank you so very much!!! I’m afraid that I was talking about immatureman! I can’t figure out how to comment on his blog. I read your posts every day. They don’t make me belly laugh, but I always feel that, in you, I have a comrade on the journey. You are my inspiration of where I want to be. Right now. I am doing lots of inner child work, and getting to a place where I am learning what forgiveness means. Congrats on finding yourself and realizing the art that is forgiveness! Excellent post! Thanks for sharing. Thanks for passing by my blog and choosing to follow! This is the first blog I’ve ever read on here. That was great. Very empowering. There is a warm sense of personal growth and acceptance in this post. what an incredible blog! i love this idea. i might try and see if i can do this for a week. i struggle to deliver blogs on time haha might be good to get me in the habit of writing! great post! I agree with your thoughts completely. Forgiveness for yourself is very important. Most of people have too much burden that they take with themselves (“backpack”) everywhere in their life. It´s not so easy freeing yourself from all the burden (mistakes, faults, hate, disrespect). I find great that you´ve done it! Thanks for sharing of your story – you could be a shining example for many other people, who also will turn their life into a positive direction. I wish you all the best on your way! Great words! We think about others a lot too and that is why we blog. It is hard to forgive another person but more difficult to forgive yourself for a bad choice. Bella: I am still trying to forgive myself for trying to bury DiDi when she was a very young pup. I will let go soon. We can do no more than what we did at the time. So I figure as long as I learn and grow from what has gone before, I won’t have a lot I need to forgive about myself. I think your blog is really thought-provoking and fascinating .. thanks for following Heifer 12 x 12 so I could find YOU! There is a great lesson here that many people could learn from, very interesting post.